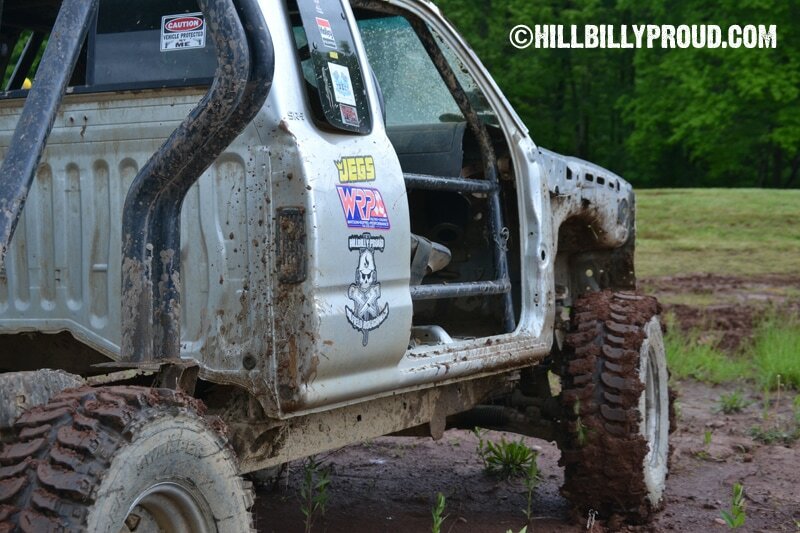 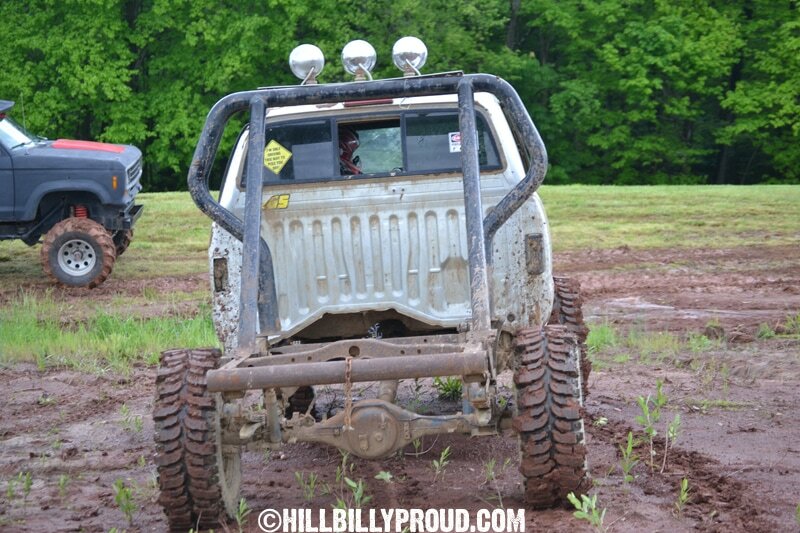 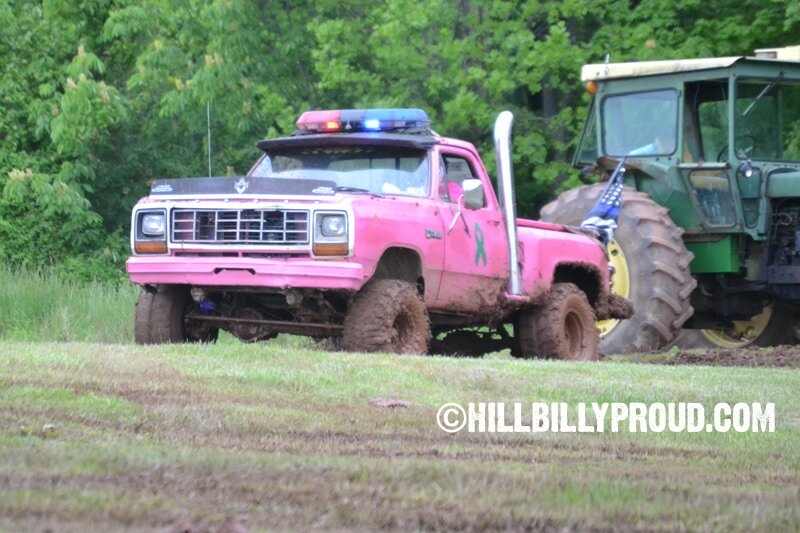 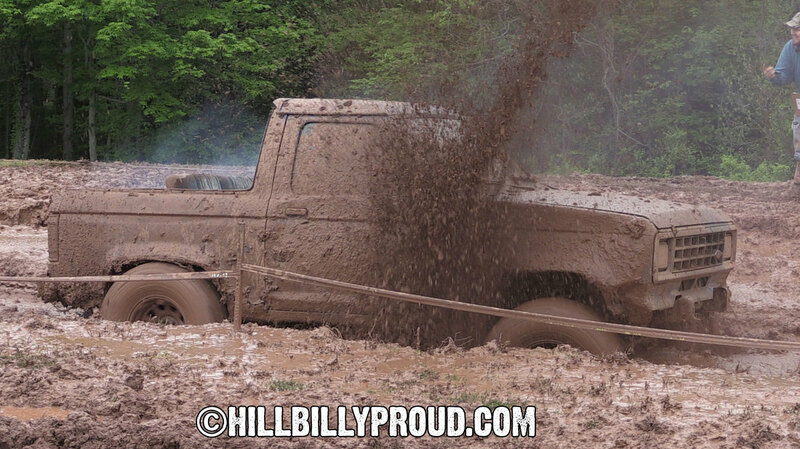 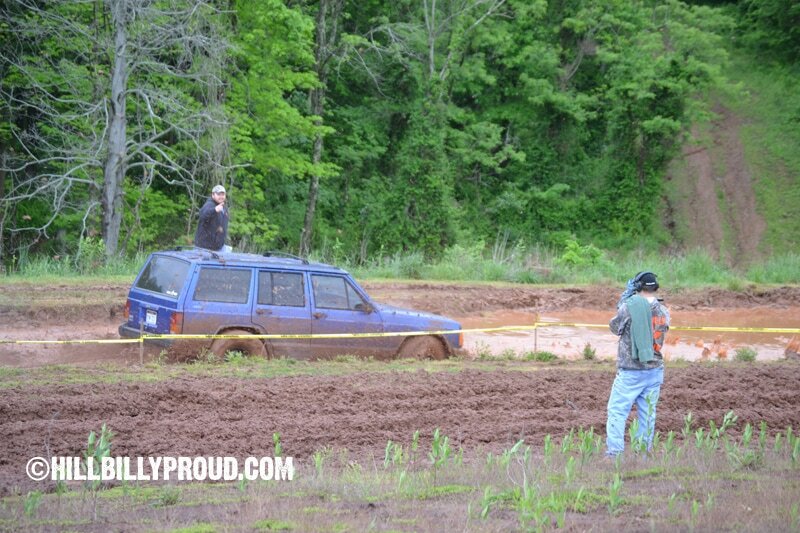 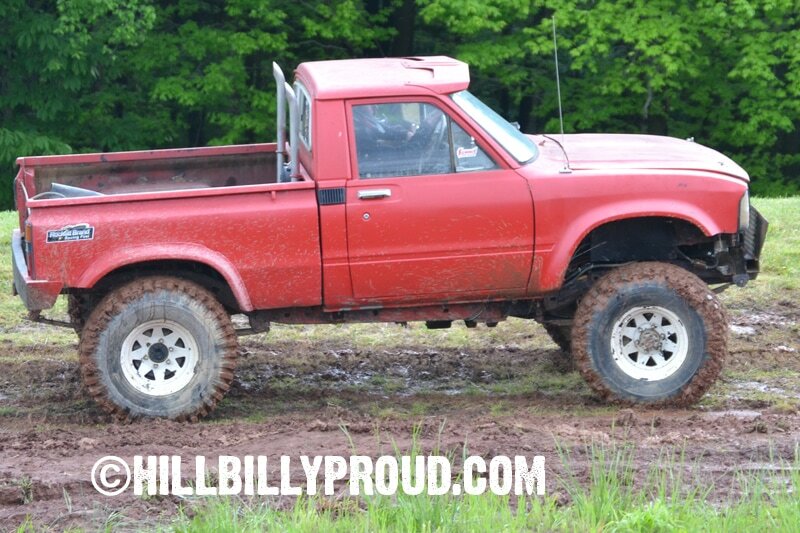 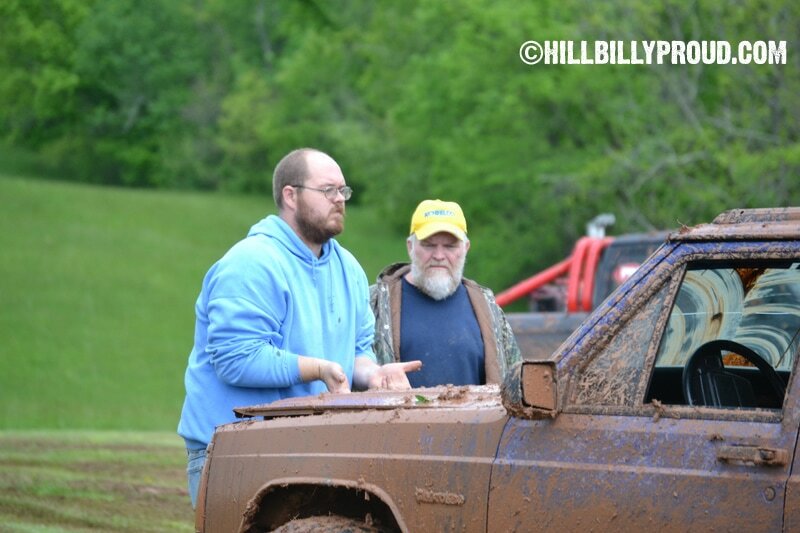 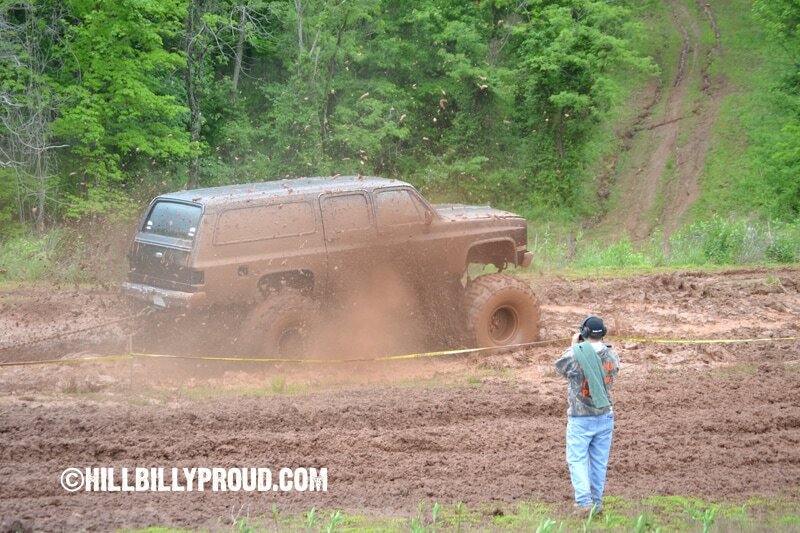 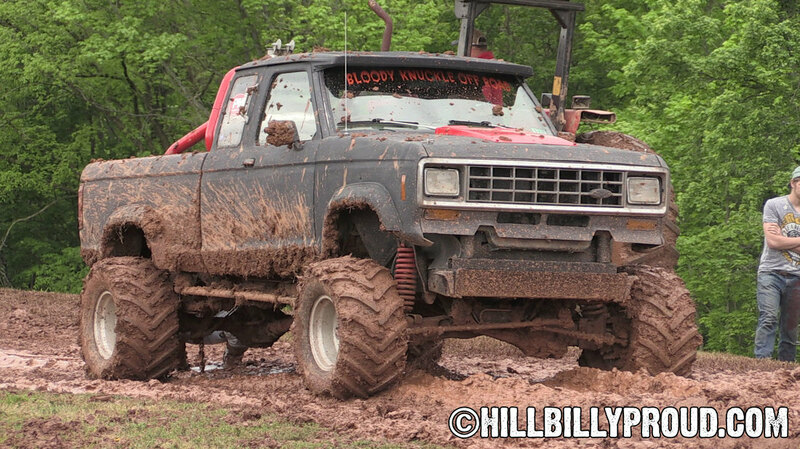 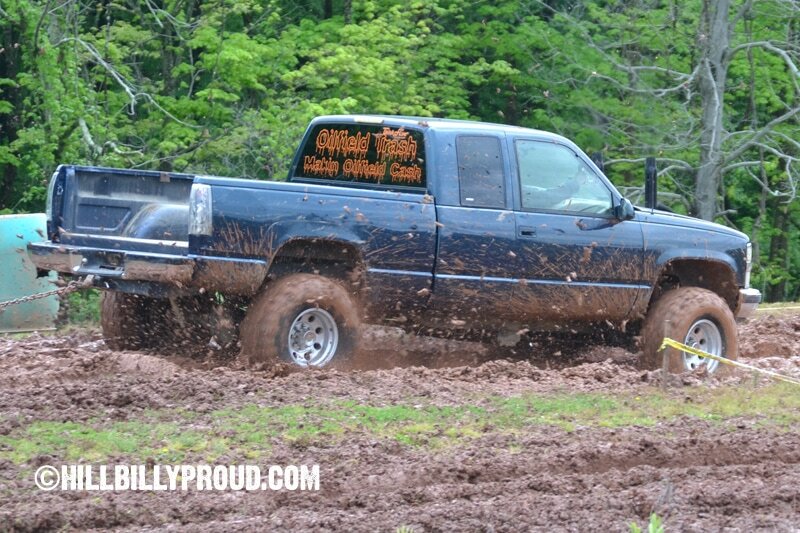 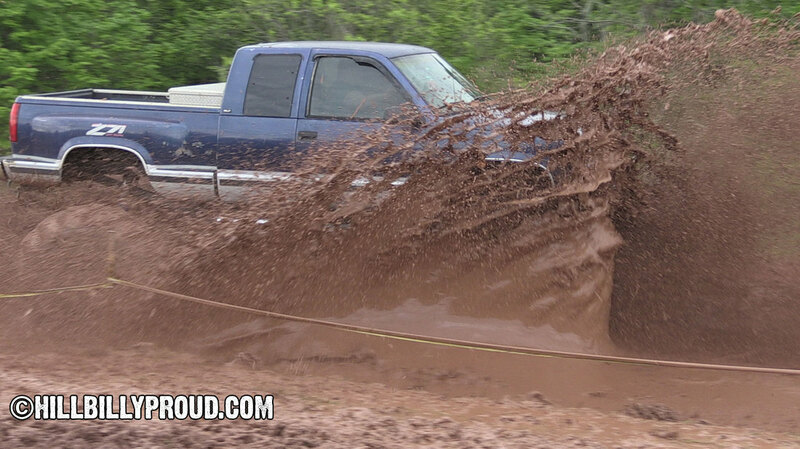 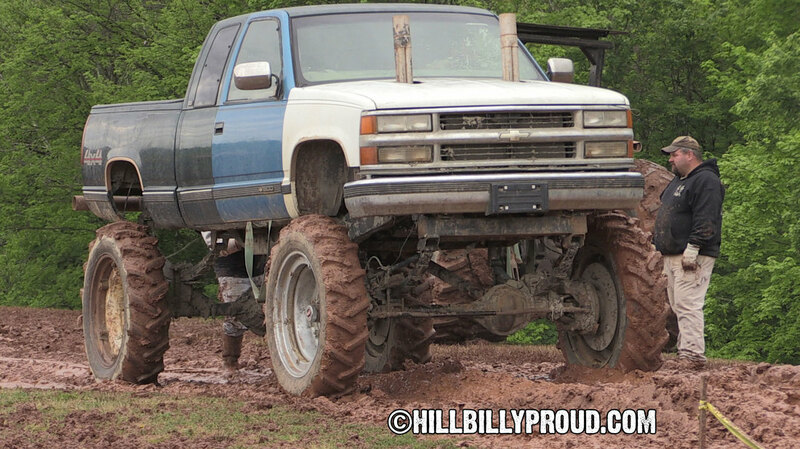 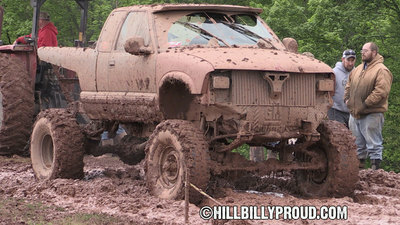 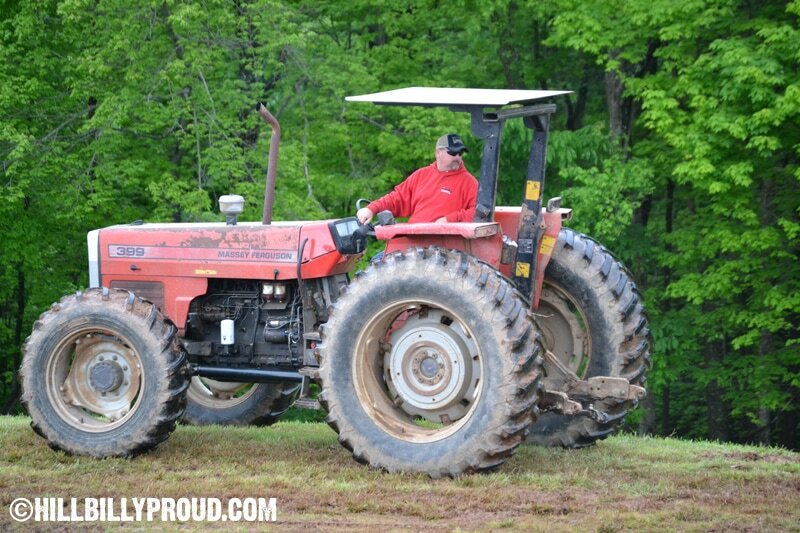 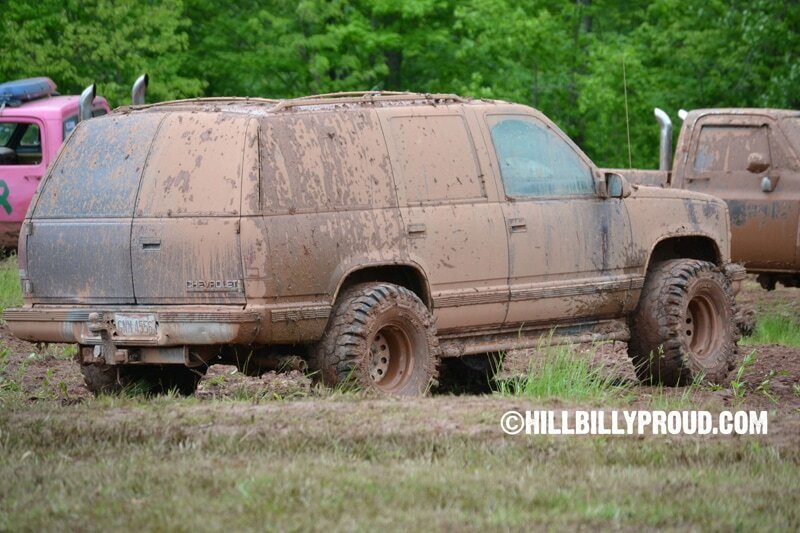 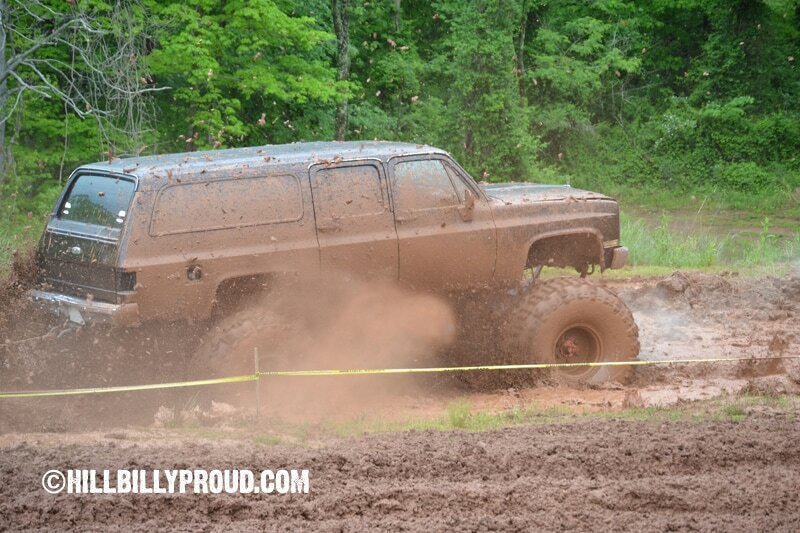 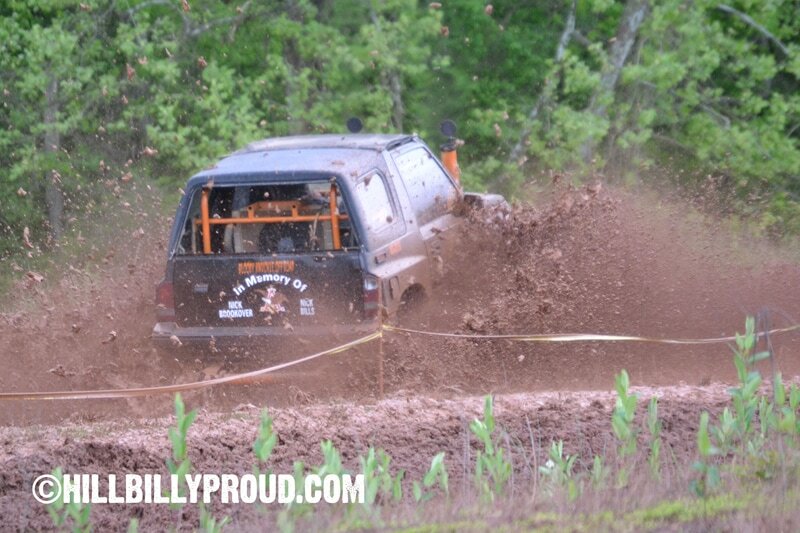 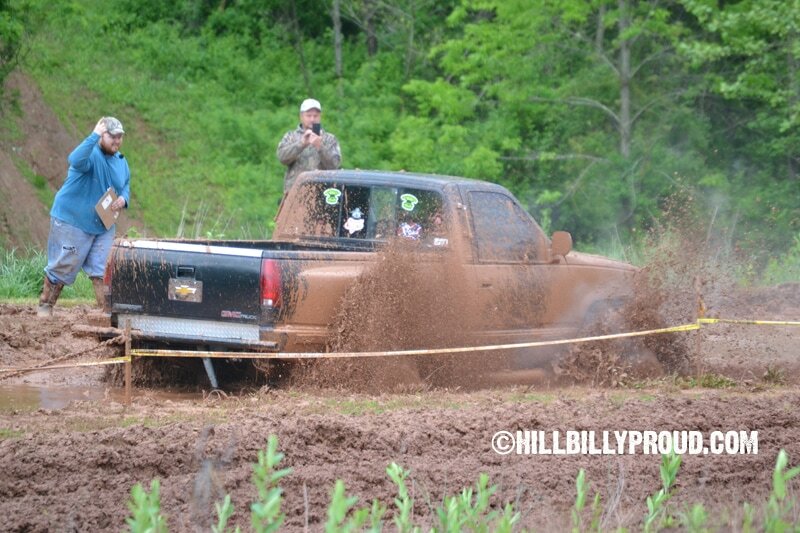 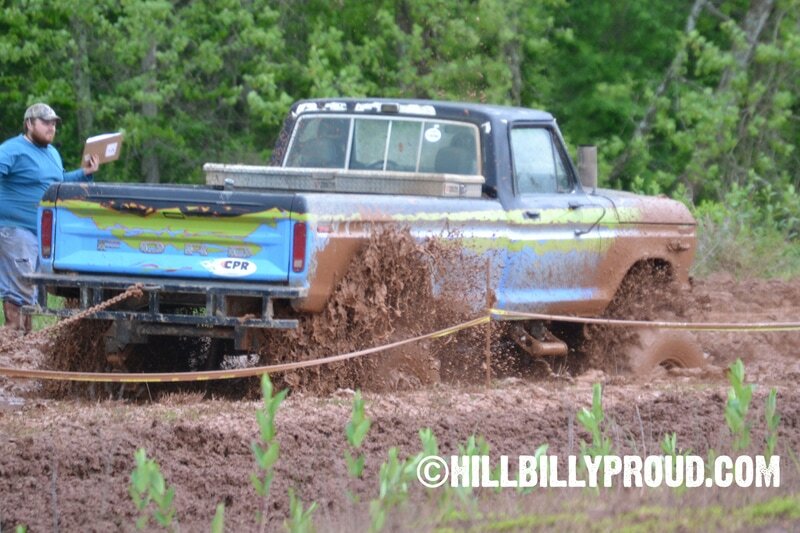 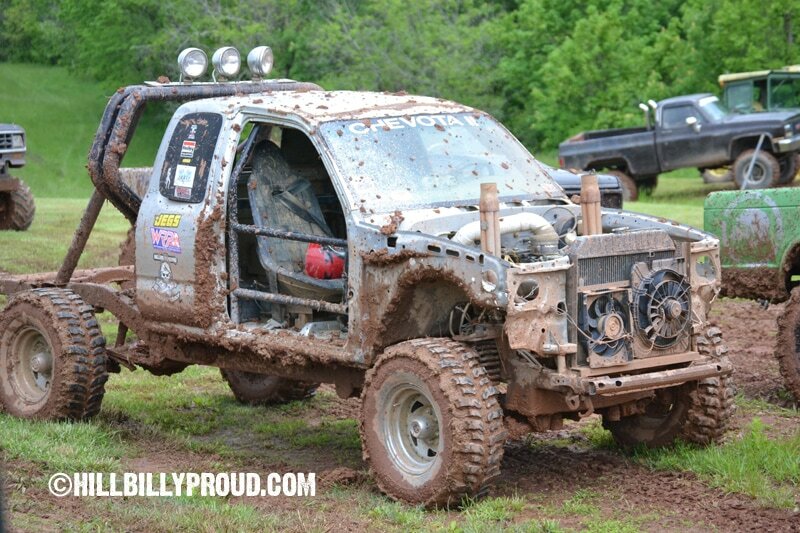 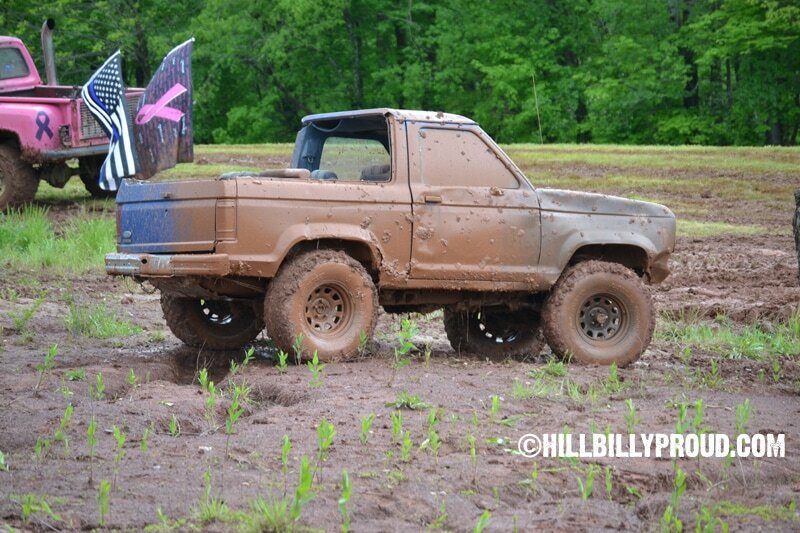 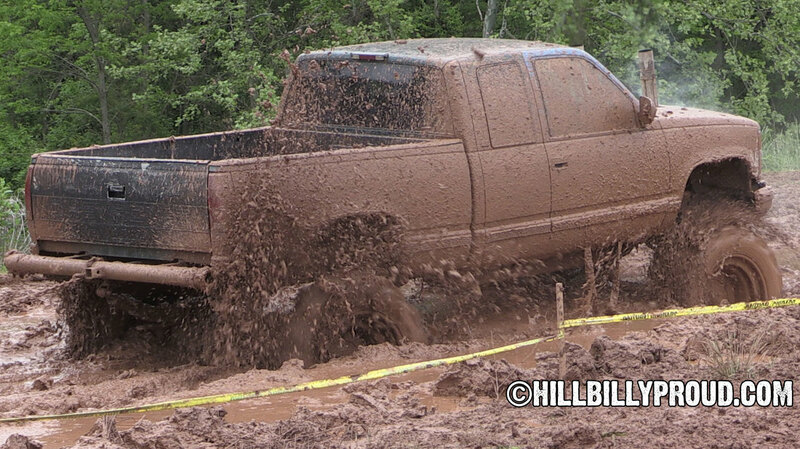 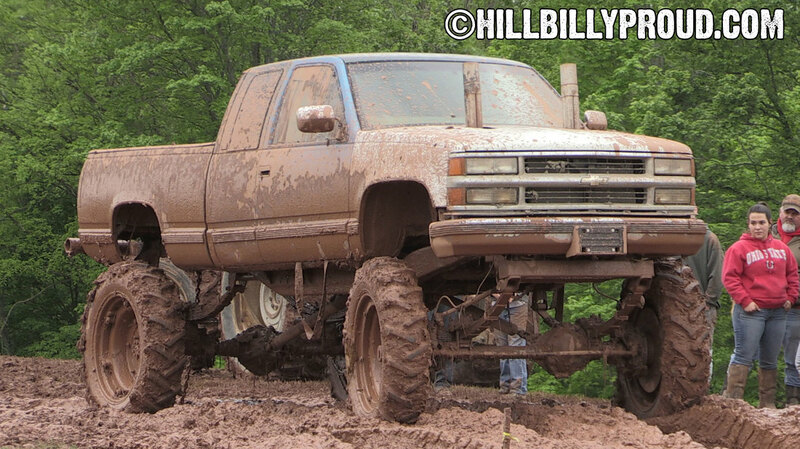 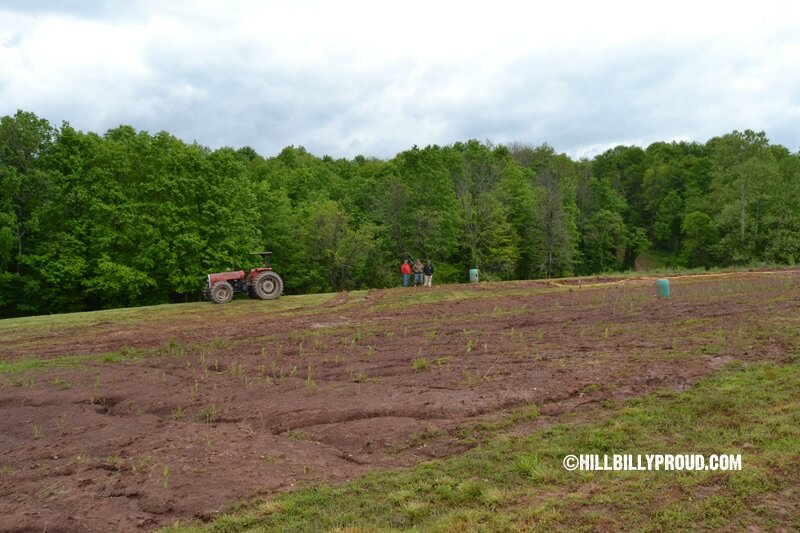 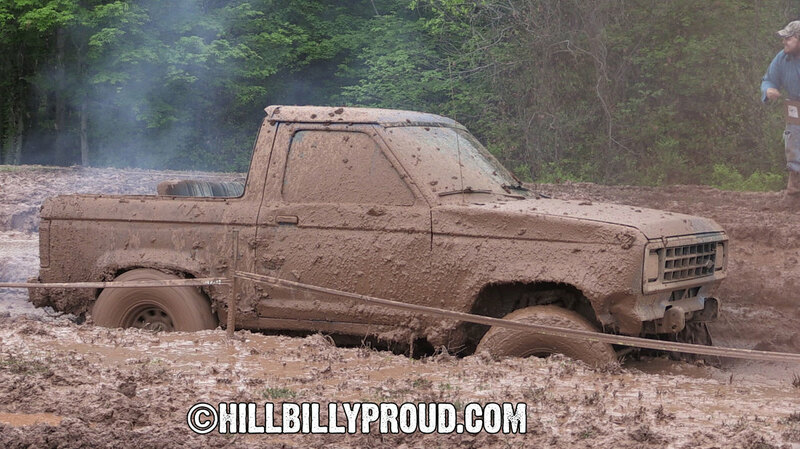 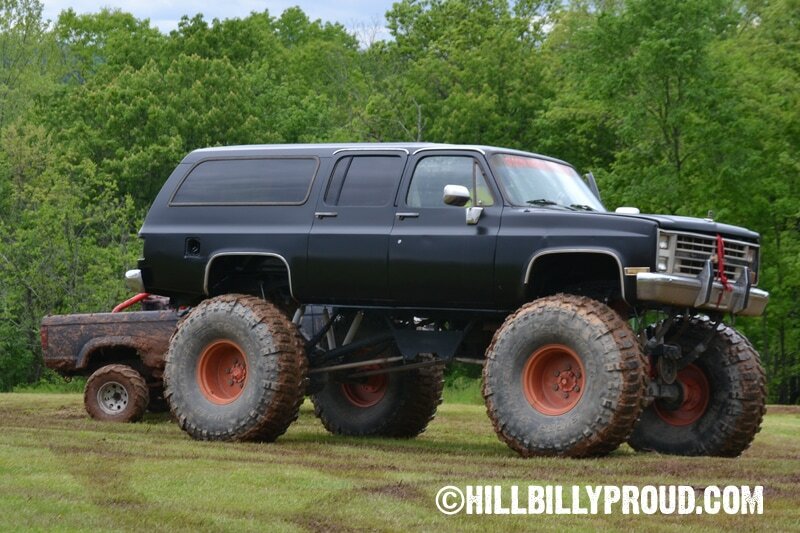 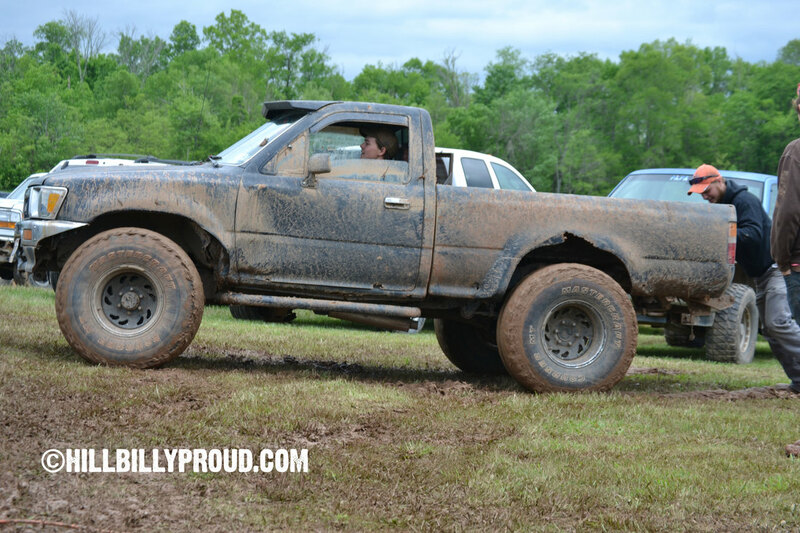 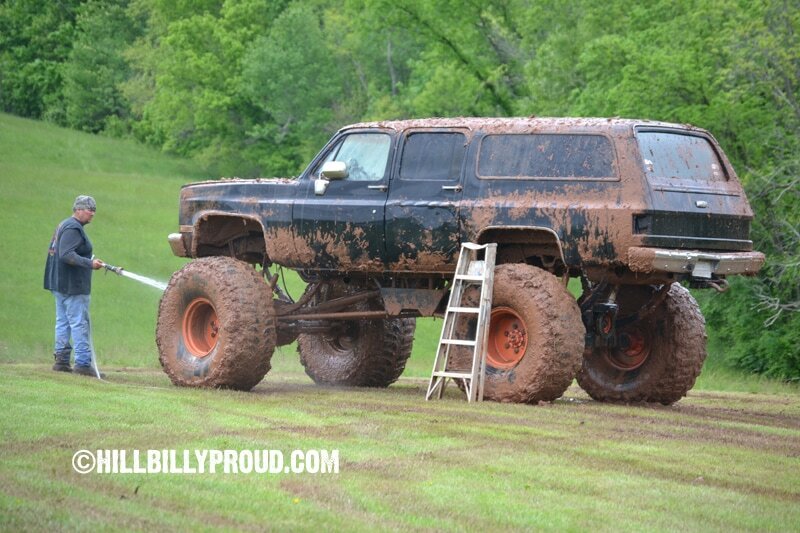 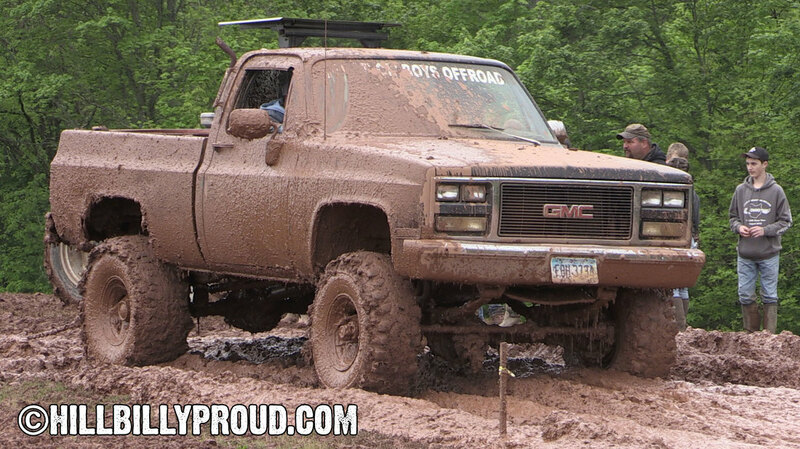 Saturday, May 6, 2017 we hit the road out of Jane Lew hoping that the 2017 Frontier Country 4-H Mud Bog in Reno, OH had got less rain than our area, which was filled with flooded fields and high creeks. 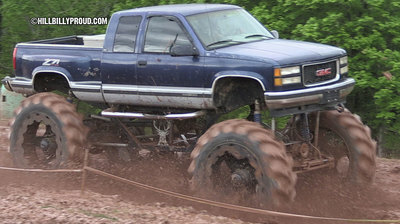 Luckily, the further west we went the less saturated things looked and we didn't even need 4 wheel-drive to make it up the dirt drive at the Reno Raceway. 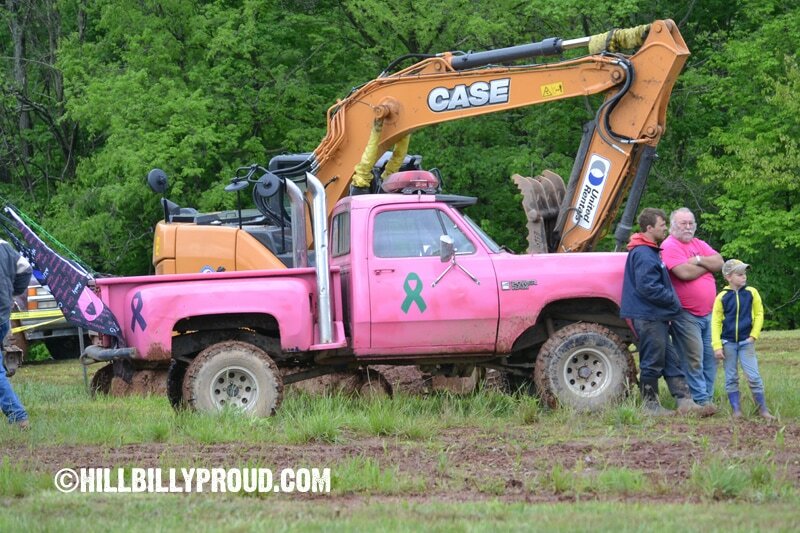 The first thing you'll come to is the gate, manned by two ladies who despite looking a little cold, wet and muddy were all smiles and happy to welcome us back. 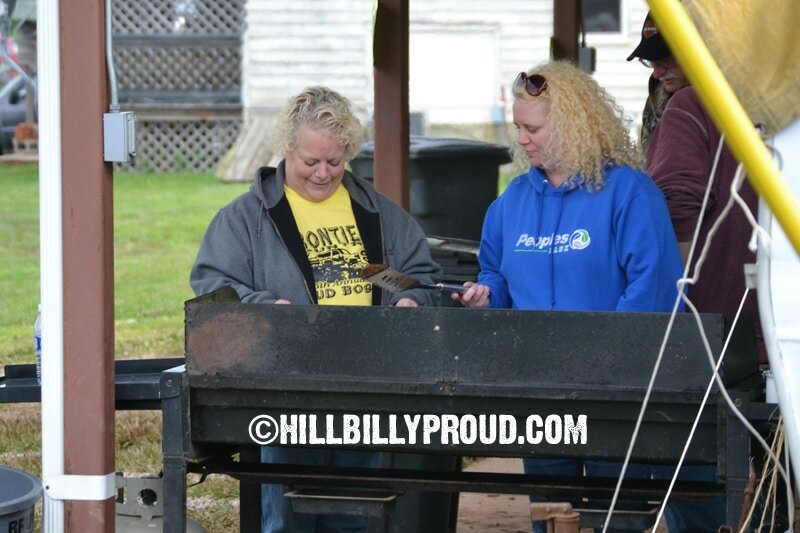 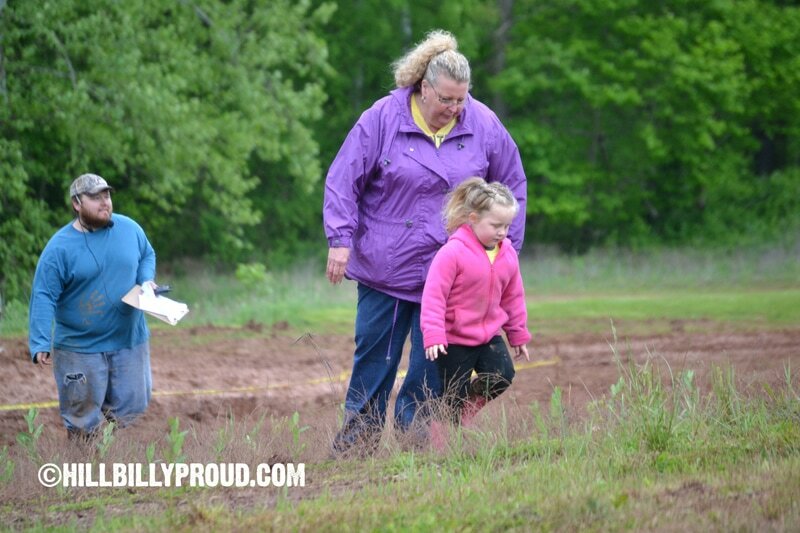 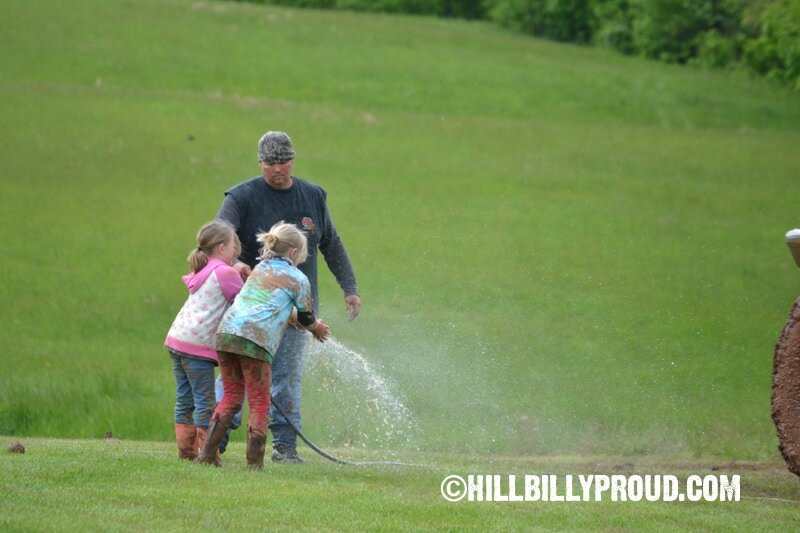 We were setting up as the 4-H kids and event staff were busy prepping the pits, cooking, selling merchandise, raising money for the club and playing in the mud (some of those kids were covered before the trucks even started running, it was adorable). This was our first filming event of the 2017 season and the first time working with the new camera so we were a bit rusty, we were learning some and we forgot some things but it was a great day nonetheless. 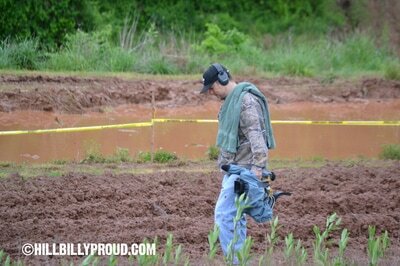 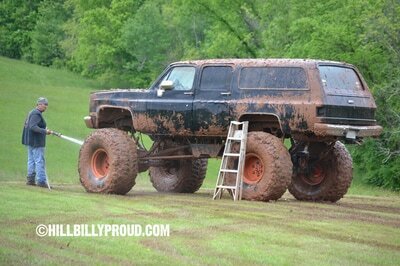 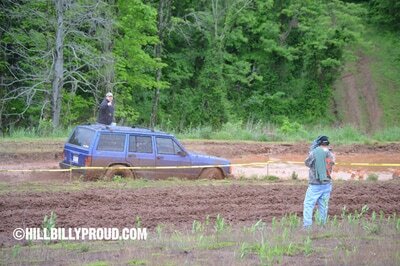 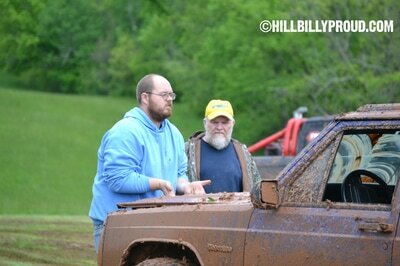 The wind put a chill in the air but the sun was out occasionally and the crew kept the mud and fun rolling. 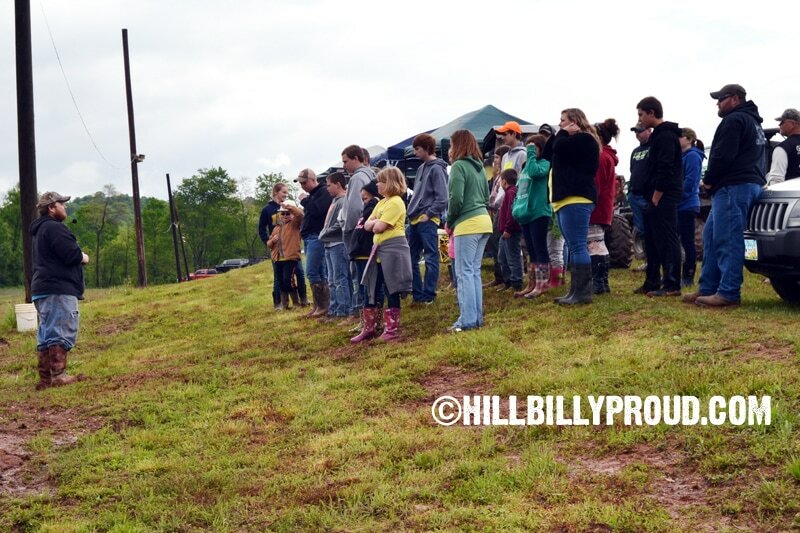 The 4-H members led the Pledge of Allegiance and the 4-H Pledge and throughout the day they gave away door prizes, a candy raffle and held a kids foot race which was held during intermission. 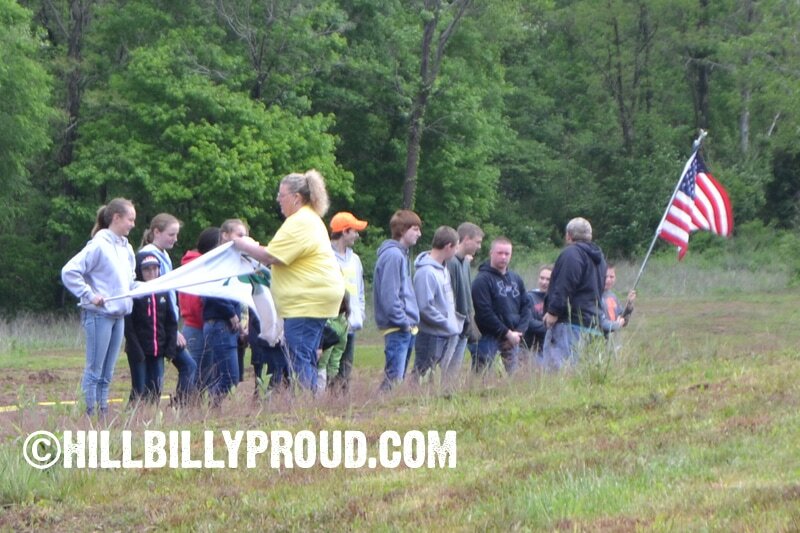 30 current 4-H kids and several alumni were on hand and they raised $3,900 to pay some bills and send some kids to camp and other fun activities throughout the year. 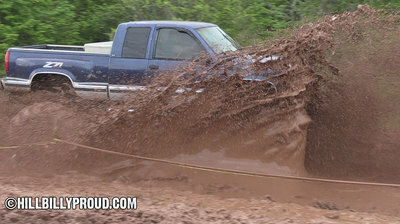 It was $20/run with a good turnout of both local regulars and a few new racers to 2017 Frontier Country 4-H Mud Bog in Reno. 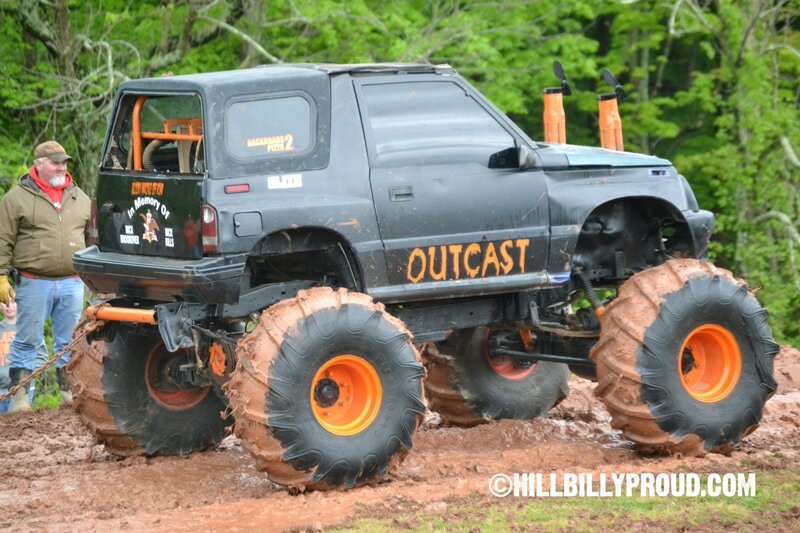 The classes were set by tire size and they ran both pits twice, the first round before intermission, the second round and then an optional bounty hole. 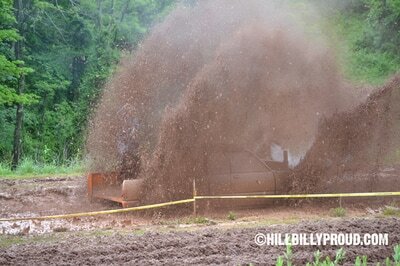 Things started in the speed spit first and they flew threw the classes. 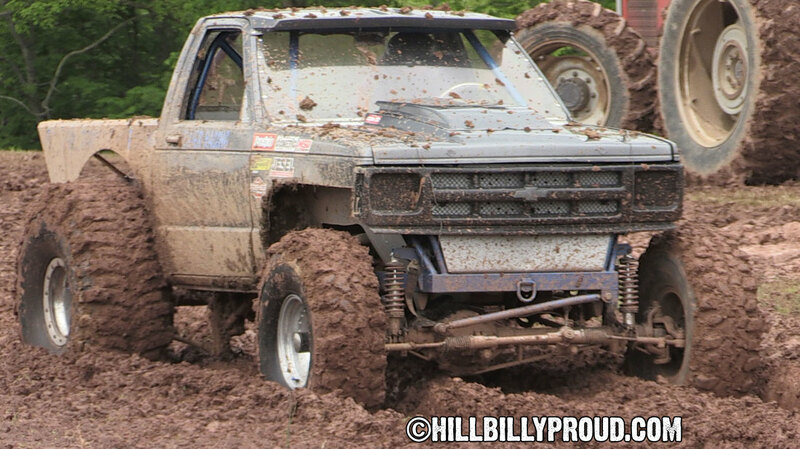 Not as many raced the speed pit but the ones who did put on a great show and there were even a few runs under 5 seconds, like Mark Baier’s winning run of 3.89 seconds. 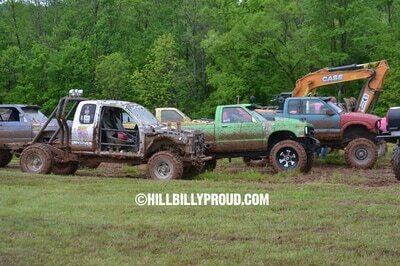 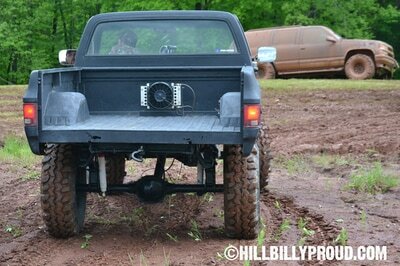 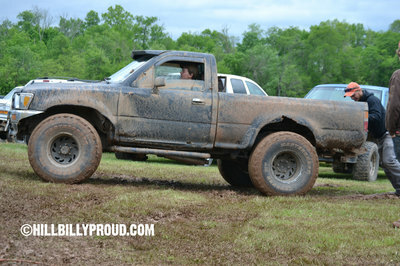 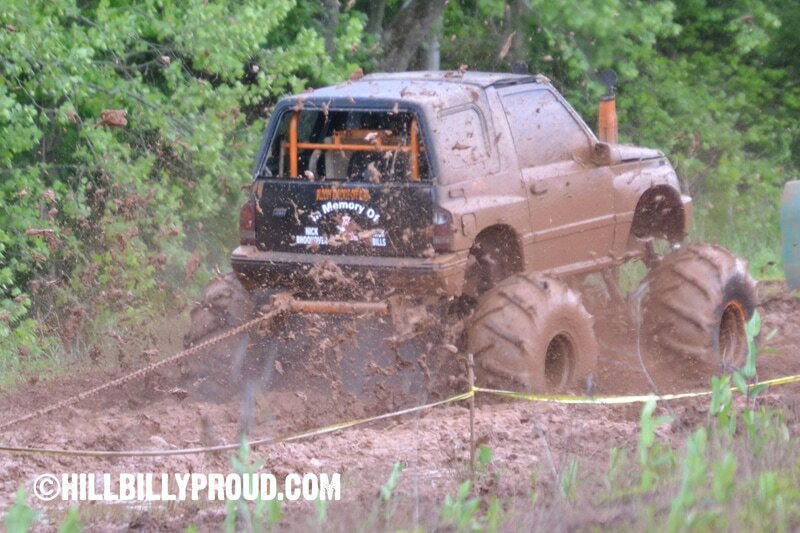 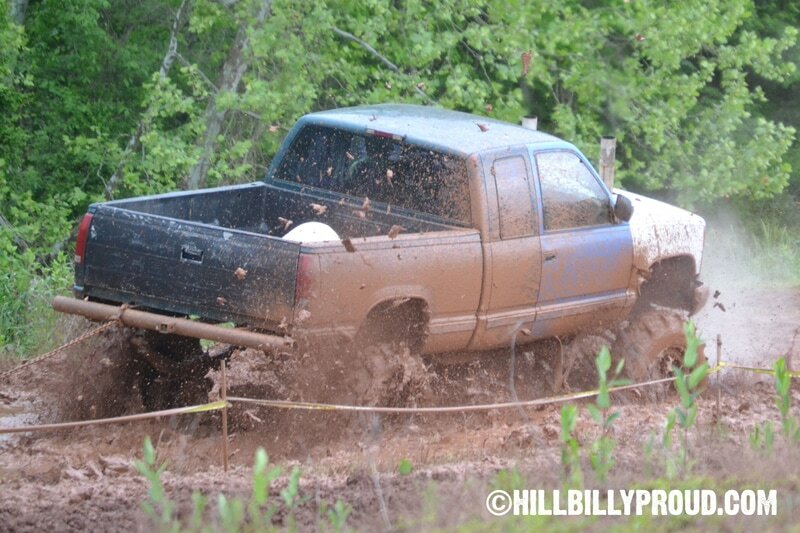 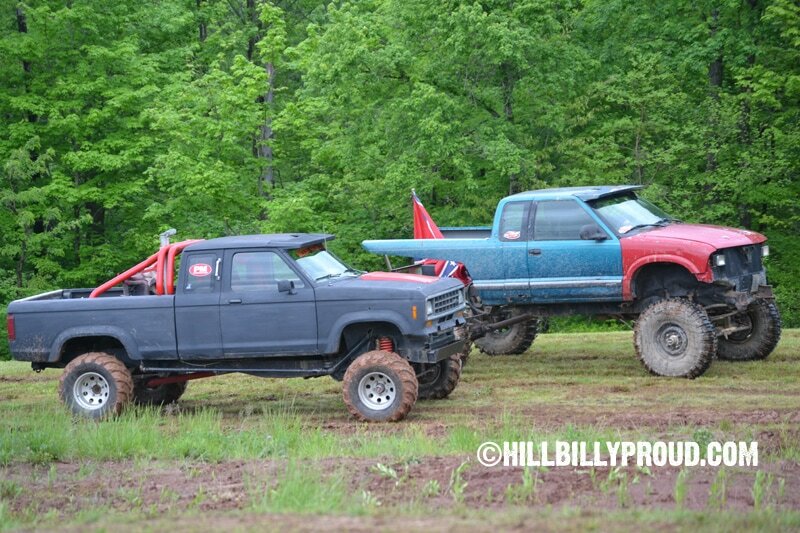 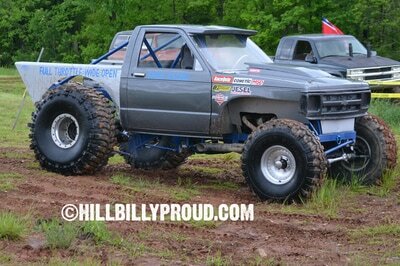 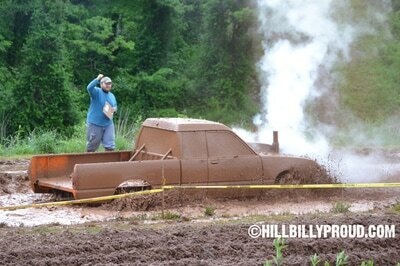 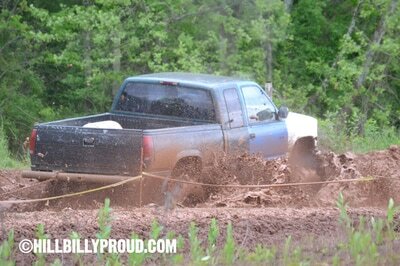 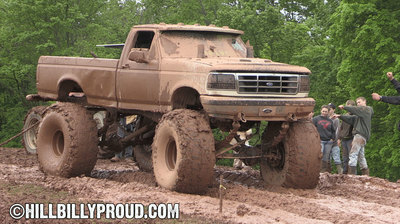 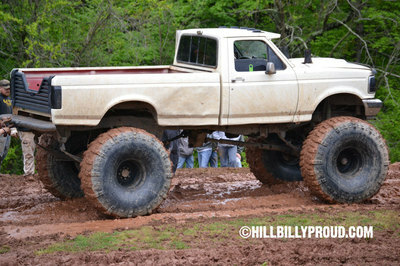 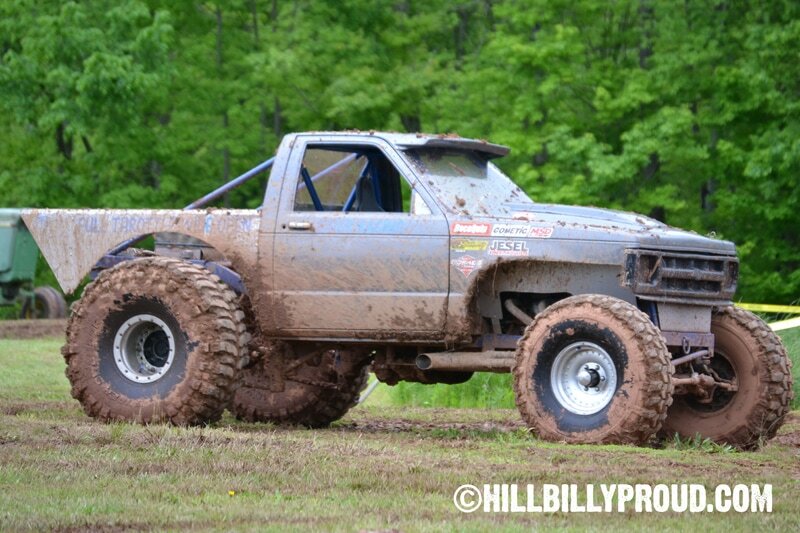 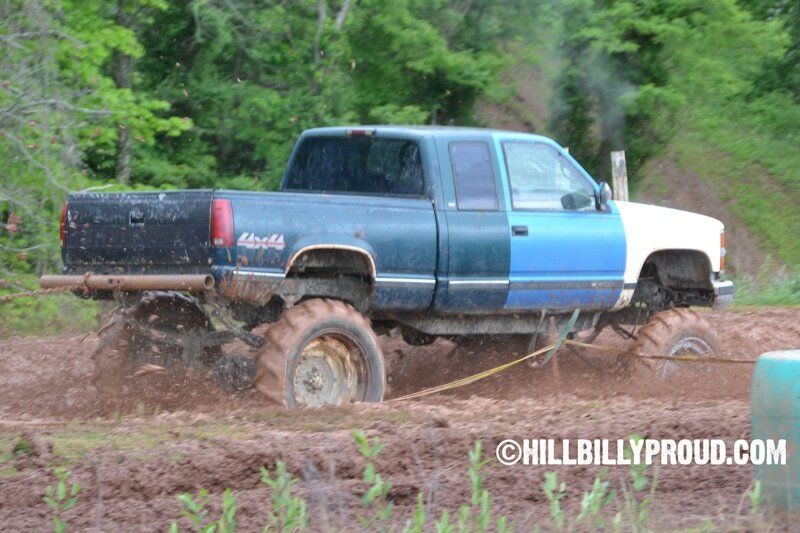 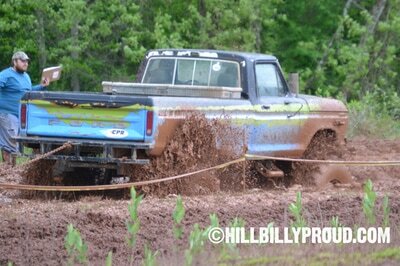 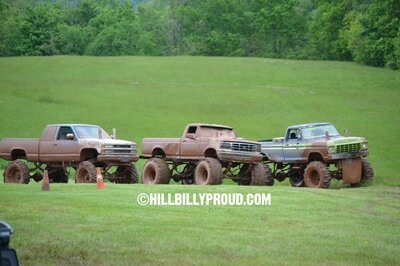 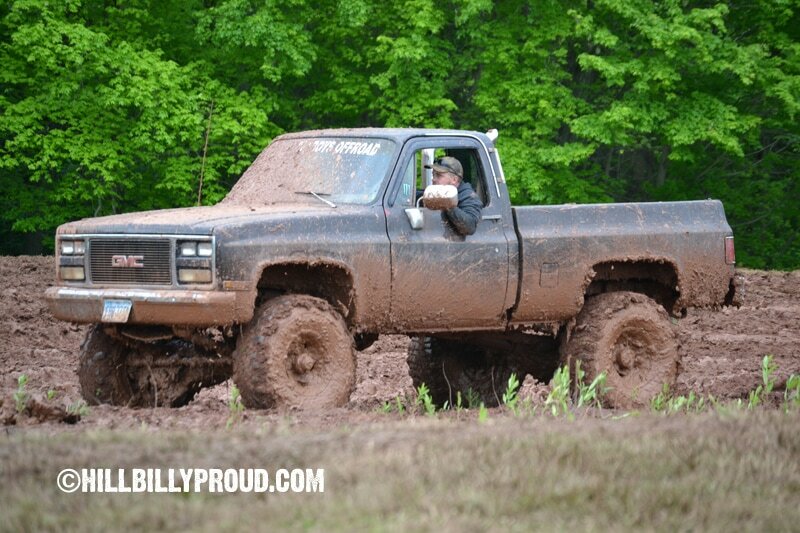 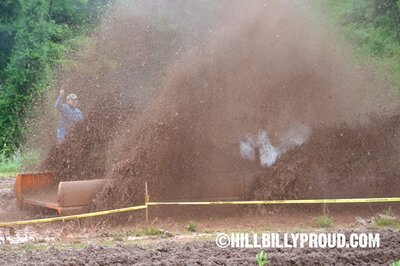 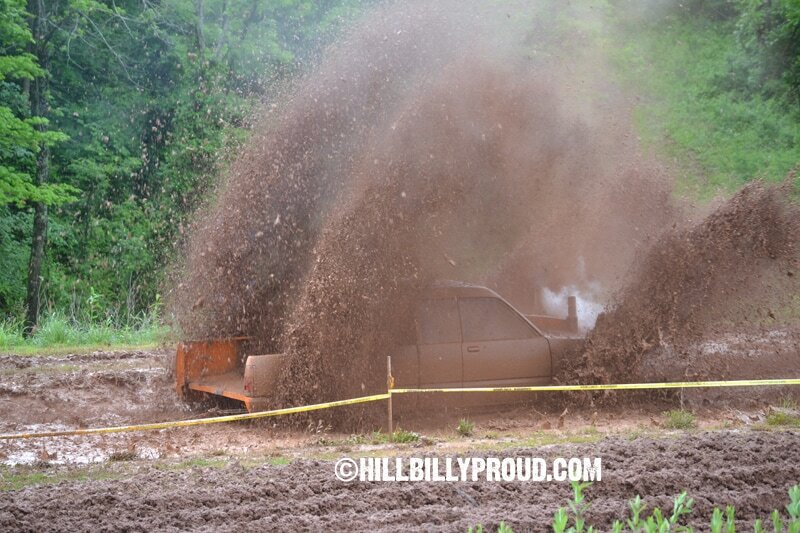 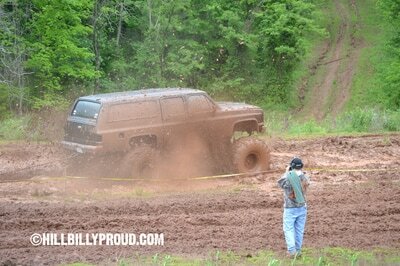 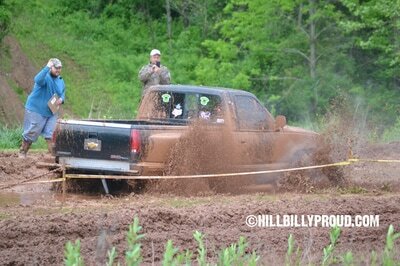 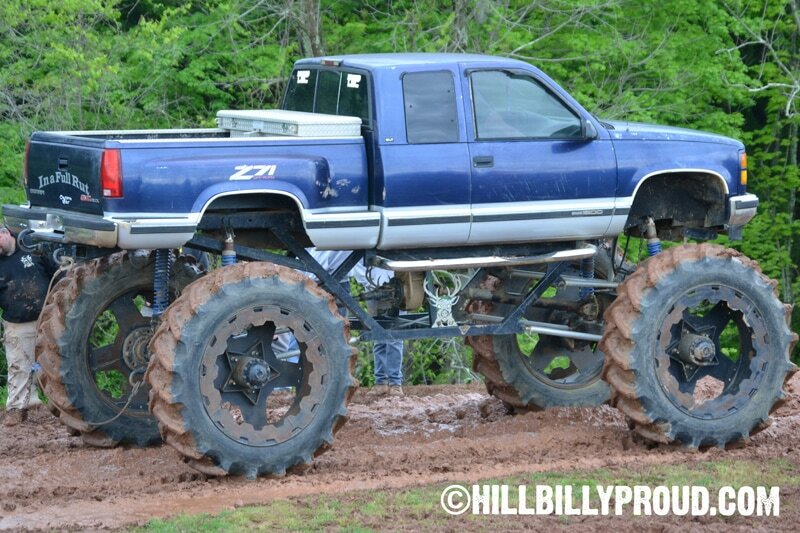 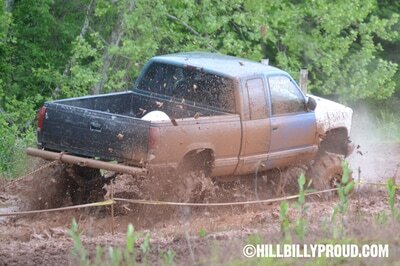 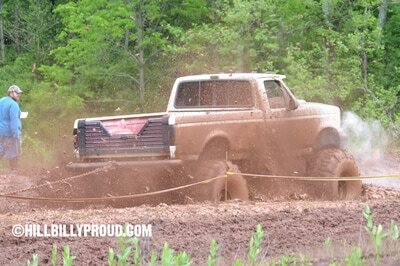 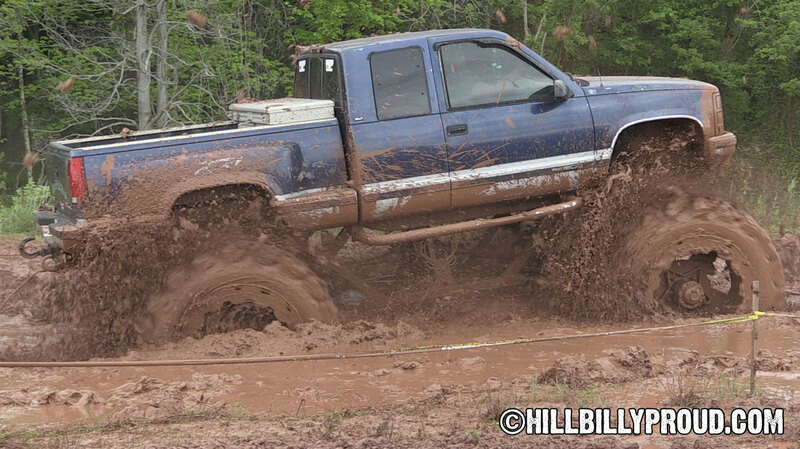 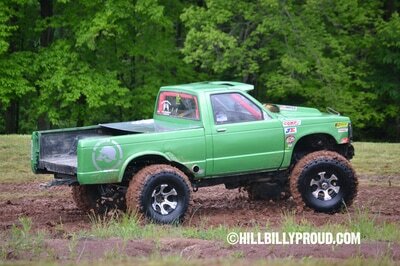 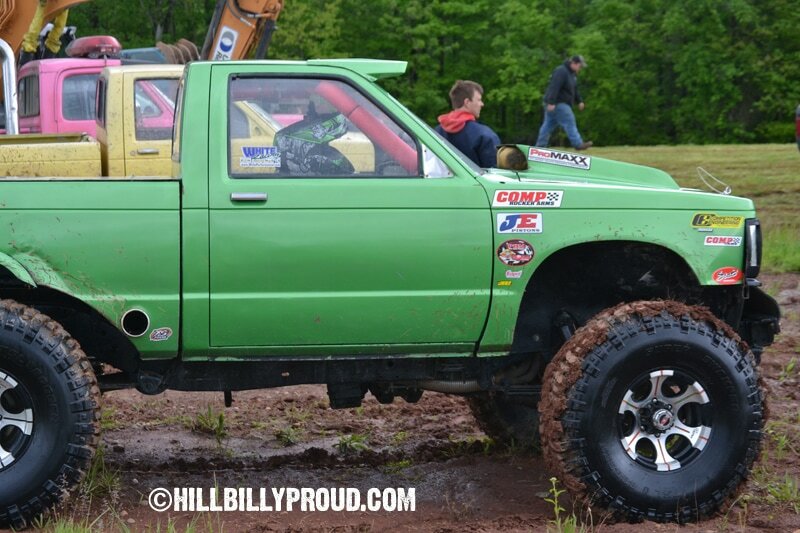 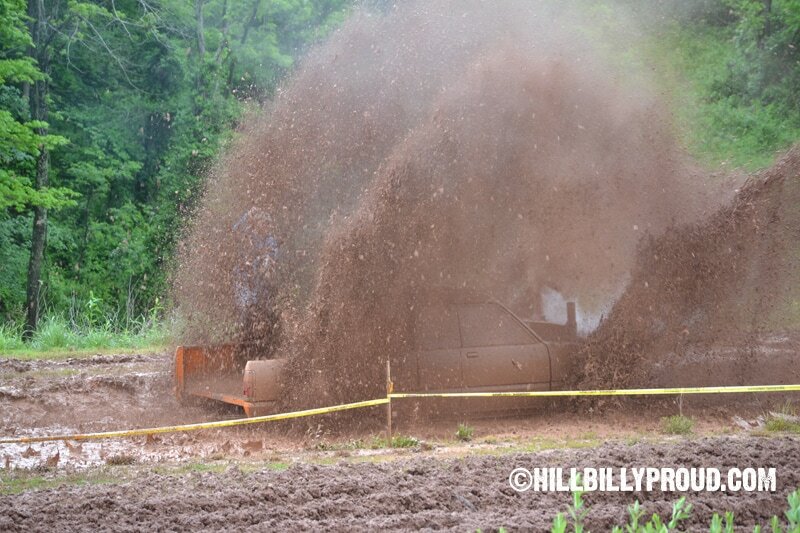 The deep pit had a nice mix of stock, modified and tractor tire trucks running. 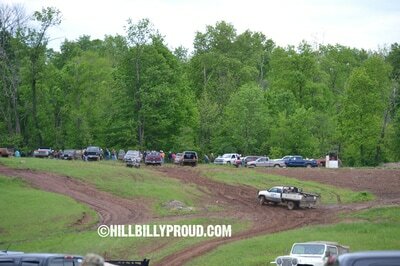 The first couple classes got a lot of trucks stuck with distances ranging from under 20 feet to 76’ of the 175 foot pit before someone finally plowed through the end. 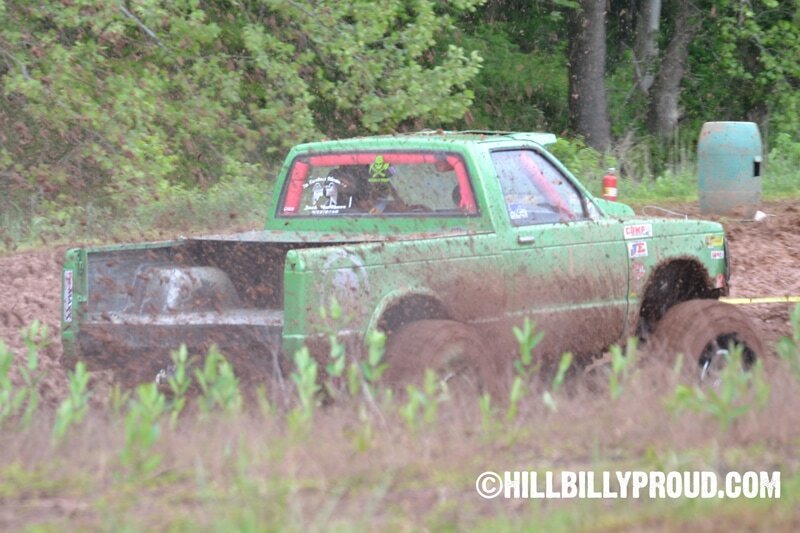 The fastest deep pit run of the day was Jake Hall with a 11.545 run. 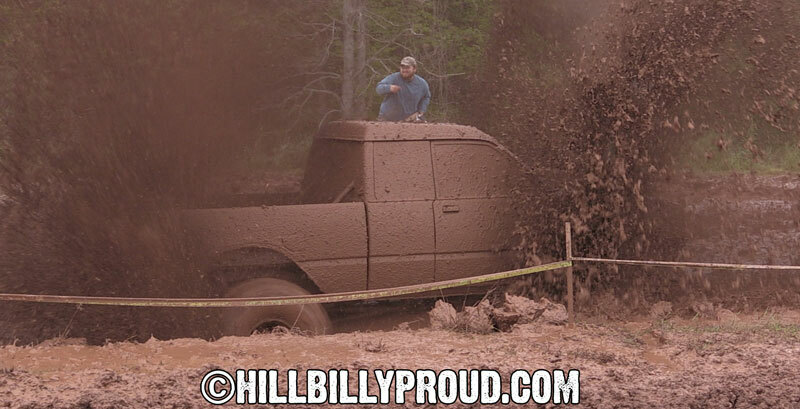 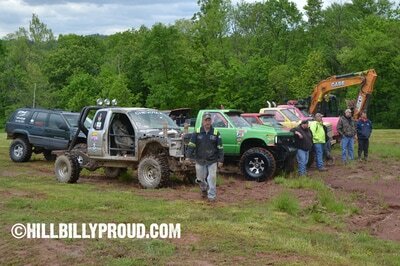 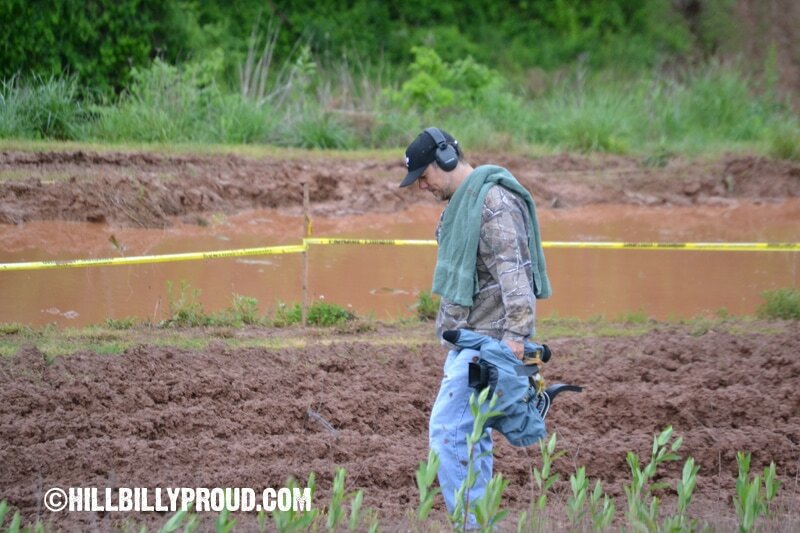 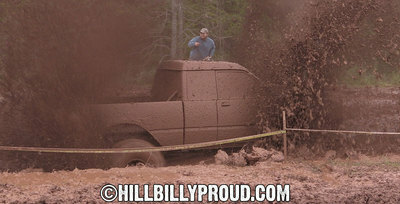 It was a great show with lots of mud slinging, water splashing, bogging, trucks getting stuck and trucks flying through the finish line. 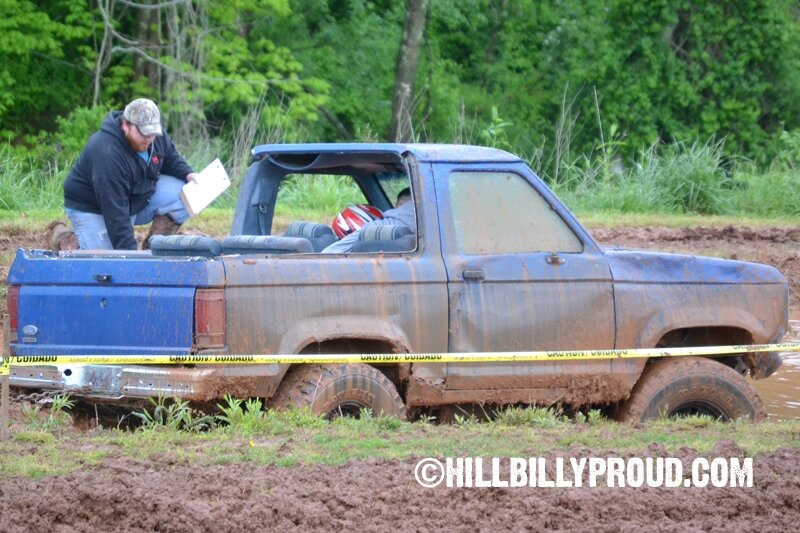 After the competition finished and the prize $ awarded a couple of competitors tried their hand at the bounty hole, a deep hole on the backside of the raceway that leads most to defeat in pursuit of the big bounty temptations and a crowd of trucks watched as the tractor tire trucks gave it a shot, but couldn’t make it out. 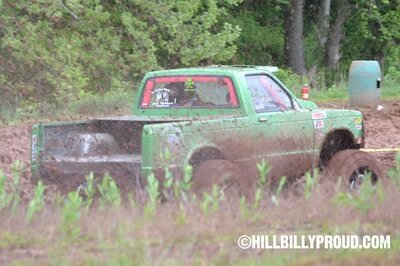 We packed up and left around 4 and the first raindrop hit my arm as I shut the truck door, perfect timing from a well-ran race. 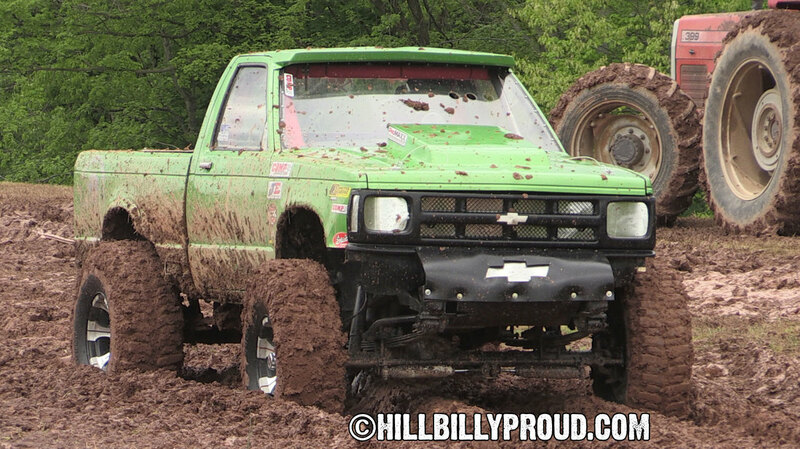 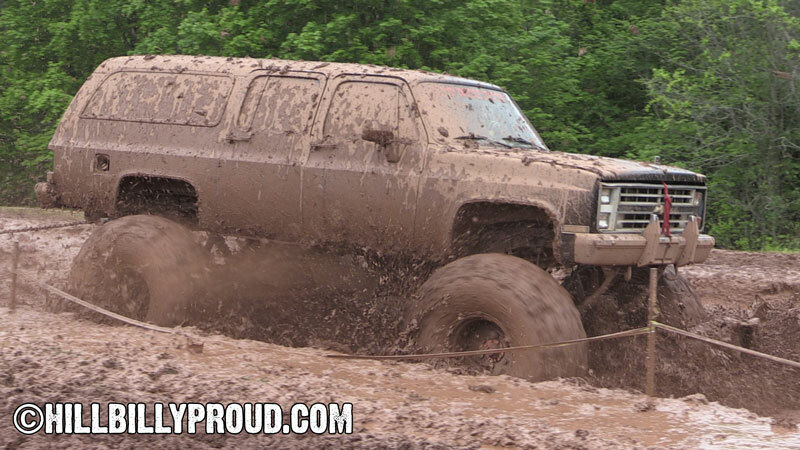 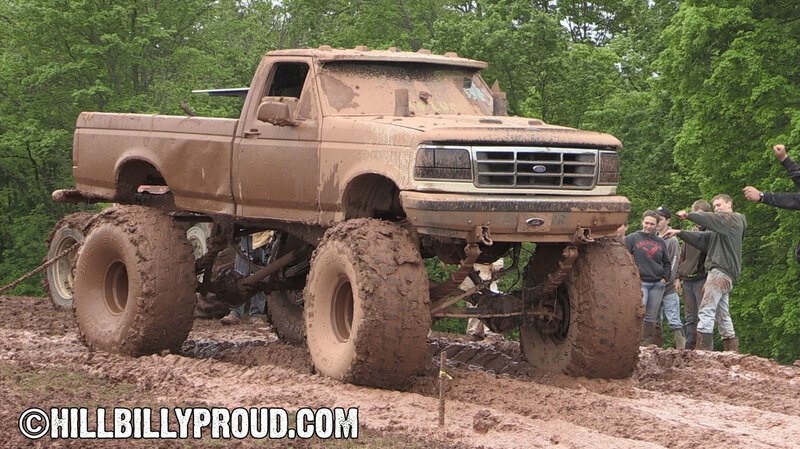 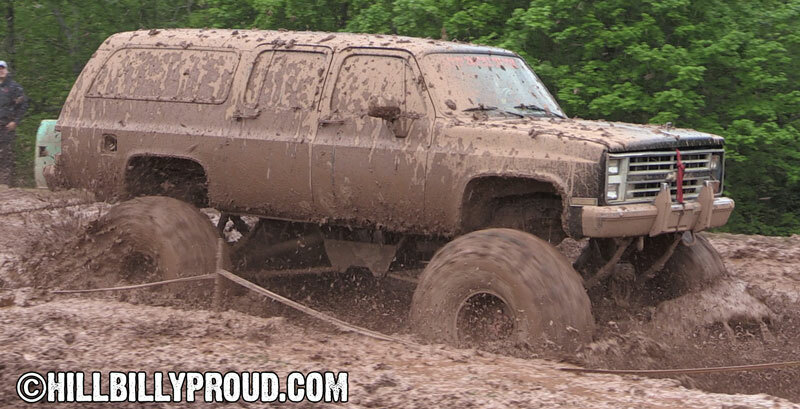 The 2017 Frontier 4-H Mud Bog in Reno, OH isn't a huge event but it is a fun one for families and racers alike and it's for a great local organization and we hope to see you there next spring!